T he day job has recently involved an awful lot of work making sure that the annual creative writing competition goes off without too many hitches. I’ve been working with the lovely people at Authors Aloud UK who have taken on the juggling of author visits to coach children on their writing skills. I’ve also had the opportunity to sit in on a few – run by Chitra Soundar, Savita Kalhan and Ifeoma Onyefulu. 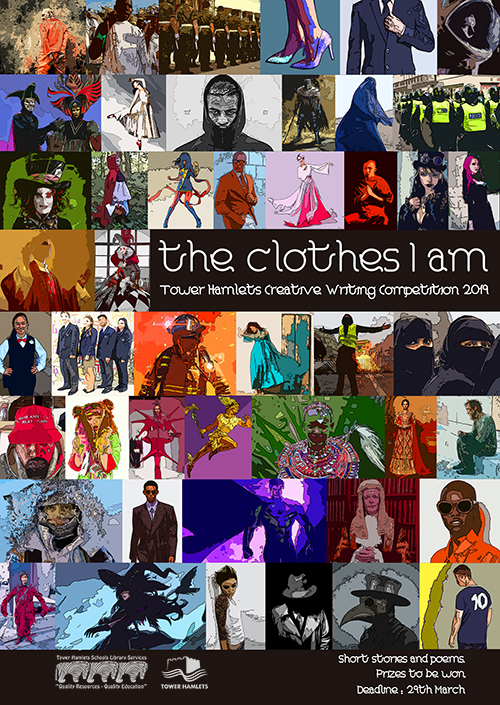 The theme – The Clothes I am – raised a few eyebrows at first, but once people got to read the prompts and ideas for starting stories, it clicked. I’m expecting plenty of alternative fairytales and stories about identity.